EPI EN ULTRACERAMICA 2018 - Carbon fiber and ceramics in "Jidd e Jedd"! 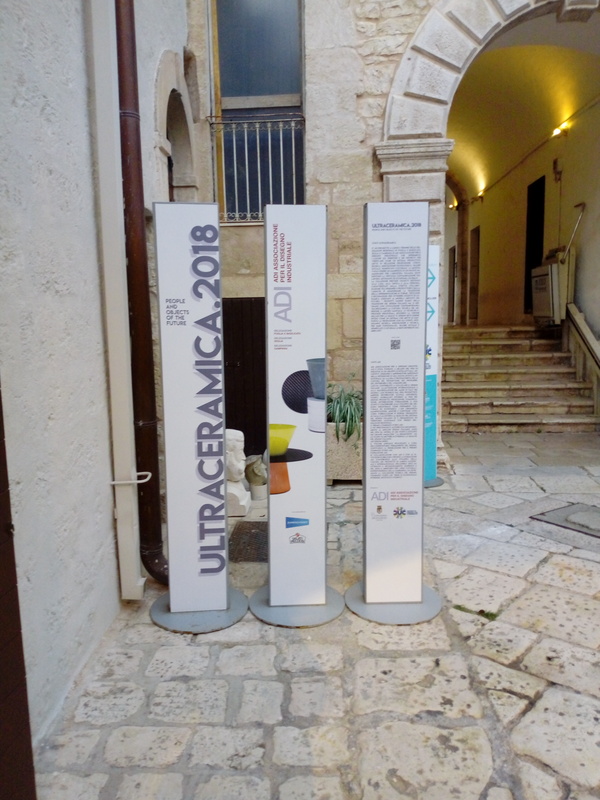 Sunday 11 November “Ultraceramica” was inaugurated, in the beautiful Conversano Castel (BA), the exhibition dedicated to ceramics design made in South Italy. After the last year edition in Naples , once again “Jidd and Jedd” are back on show, innovative furnishing accessories for the table that blend carbon fiber and ceramic, giving life to hybrid objects that combine new technology and tradition, developed in collaboration with GiùinLab on an idea by architects Michele Sallustio and Arianna Vivenzio. Ultraceramica, an event organized by the ADI delegations of Puglia- Basilicata, Campania and Sicily, is an exhibition dedicated to the ceramics design , with the aim of renewing the traditional skills of ceramics art by rethinking it in the framework of the “project culture”, to check how a productive system connects designers, production, users, research, technological innovation, social value, cultural meaning. At the exhibition there are about thirty prototypes of ceramic objects made by artisans of the three regions together with designers and architects. The Collection includes the prototyping of furnishing accessories, mainly intended for the table, furniture and the person, characterized by the use of ceramics in its various forms and technologies. According to the original vision of ADI, design must be understood as a system that connects production with users, integrating research, innovation and technique, to give functionality, social value and cultural meaning to the goods distributed on the market. The event, born from an idea by Salvatore Cozzolino and Roberto Marcatti, made its debut in Naples in December 2017, together with Arkeda, the exhibition of architecture, construction, design and furnishing held at the Mostra d’Oltremare. On that occasion “Jidd and Jedd“, have been presented: unconventional furnishing objects that blend two materials far from each other but united by the expertise and craftsmanship of two excelences of the Apulian territory. 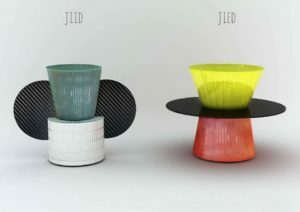 “Jidd and Jedd” are born thanks to an idea of the designers Michele Sallustio and Arianna Vivenzio. Carbon fiber and ceramics meet and blend, giving life to hybrid objects that combine new technologies and tradition, strength and refinement. The Prototypes, created specifically for the Ultraceramica project by GiùInLab and EPI – Carbon Fiber, will be exhibited in the extraordinary setting of the Conversano Castle until 12 January. 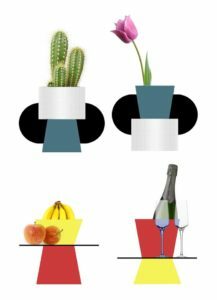 “JIID” and “JIED” in the Apulian dialect mean “Him and Her.” They are furnishing accessories for the table, anthropomorphic objects with the function of containing, supporting and enhancing food. Four ceramic shapes processed and glazed by hand intersect with carbon elements. Carbon fiber and ceramic embrace giving the two creations resistance and poetics!